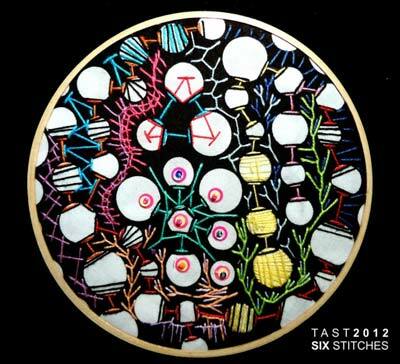 If you have not taken the time to browse the links left by people doing the Take a Stitch Tuesday challenge do make time to do so as you otherwise you are missing out. Some time through the week make yourself a cuppa and over your favourite beverage enjoy some eyecandy and inspiration. My morning routine of visiting the sites of TAST participants has become very enjoyable Ihope others are enjoying it too. Once again I found it a challenge to keep these highlights down to a reasonable number. Luiz Vaz went mad on polkadots and used all the previous 6 weeks of stitches. 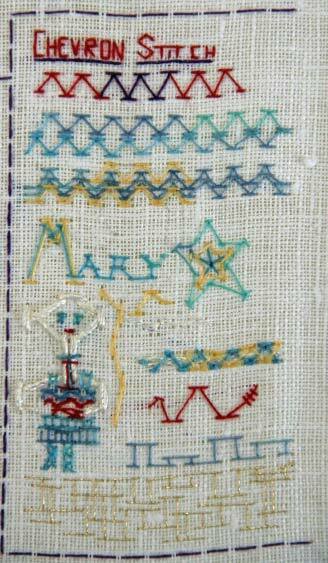 Also on Stitchin Fingers Kathryn K has worked this delightful sampler complete with figure! 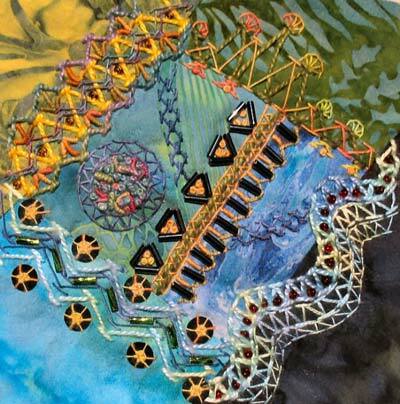 Bridget Otto has a rich sampler using not only chevron but also beading and stitches. 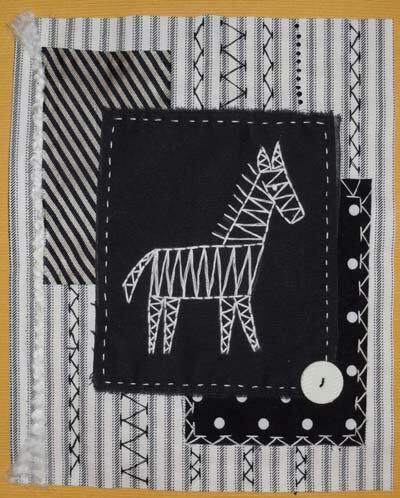 Playful stitching has gone stripe mad. Finally, I finished my post about my Chevron sample! Have enjoyed looking at others' work. A lot of incredible artists participating in this quest. What a nice work again! I like the horse/zebra very much, but the other things are also gorgeous. After a difficult week here is week six. 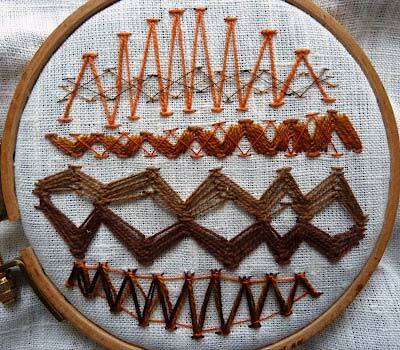 This is a wonderful, versitile stitch. 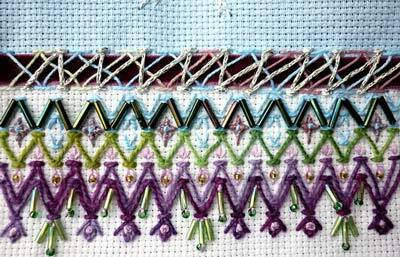 this is a beautiful stitch and i really enjoyed trying it out. thank you. I'm mad for Luis Vaz's interpretation! It reminds me of the graphic elements from the movie Coraline. Here are some of my Chevron stitches. The Christmas themed ones are small blocks I've been stitching on and off for a couple of years. I drag them out and stitch when the mood strikes.